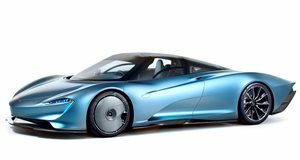 More details are beginning to come out regarding famed designer Gordon Murray’s all-new hypercar. Murray, of course, designed the iconic McLaren F1. It has gone down as the greatest analog hypercar of all time. In many ways, it was also the first hypercar. Only 106 examples were built and we’ve recently seen sale prices go for nearly $20 million each. And now Murray is at it again, determined to build a new hypercar that essentially picks up right where the F1 left off. The Supercar Blog has some updates regarding the hypercar, codenamed T50. According to a source who recently saw the finished car in person, the overall design looks a lot like a modern-day McLaren F1. "Think of a McLaren F1, but 30 years later,” the source reported. We do expect, however, that the T50 was not designed using CAD software, like the F1. Design software has come a long way since the early 1990s. Assuming the source actually saw the car (and if the source is real), then we figure Murray purposely used a lot of F1-influence in order to draw a direct connection between the two cars. That connection will also be found by way of a V12 engine. Now, here’s where things get interesting. 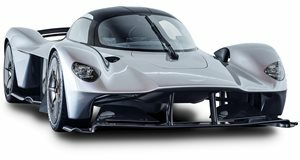 The T50 will be powered by a naturally aspirated V12 that will be lighter and more compact than the NA V12 that’ll power the upcoming Aston Martin Valkyrie. Equally important, the T50 will weigh less than 2,200 pounds. We also don’t know where the V12 is being sourced from. The McLaren F1’s V12 came from BMW. One potential supplier candidate is Cosworth, who just so happens to be the supplier for the Aston Martin Valkyrie’s V12. It’s reported to produce over 1,000 hp. Aston Martin also recently told us this V12 weighs less than its V8s. Given the T50’s aforementioned total weight, its V12 will also have to be extremely light, regardless of whoever builds it. Bear in mind it’s hard to find a mainstream automaker still producing NA V12s these days. Details including power output, total production count, pricing, and a reveal date have yet to be announced. About a year we ago we learned Murray planned to reveal his new hypercar sometime this year, so here’s hoping the countdown clock has started ticking.